In the car, a restaurant, the grocery store, to the doctor’s office, the phone has become a lifesaver while trying to entertain kids on-the-go. But your phone isn’t a toy, it’s not cheap. Instead of worrying if your phone will be dropped by your kids (or by you), “Ungrip” it. 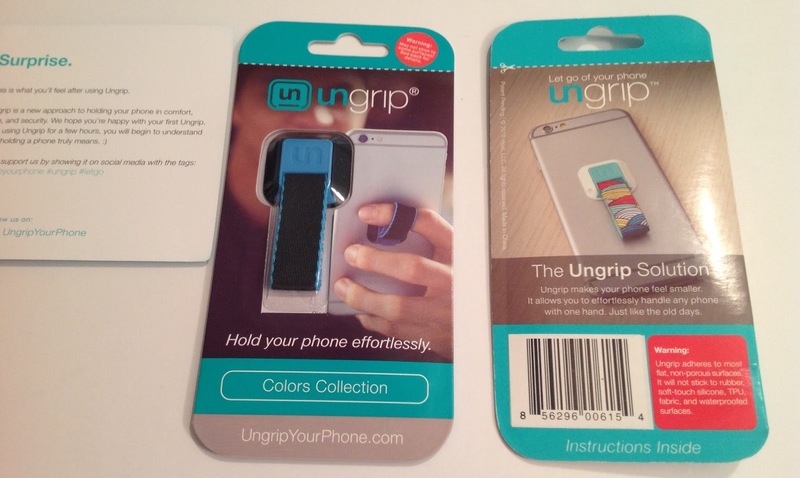 Johann Pascual is the founder of Ungrip , a new approach to “ungrip” your phone. Unlike other phone grip products on the market, Ungrip is made of fabric making it very comfortable to use and wear, and even better, it doesn’t add bulk to your phone. • Flexibility – Because Ungrip is tethered to your finger, you can hold your phone however it makes you feel comfortable, all while knowing it is securely attached to you. • 3M – Ungrip uses trusted brand 3M’s industrial-strength VHB (Very High Bond) tape, allowing the product to hold up to 4lbs. • Easy to Remove – Even though the adhesive is industrial, users can easily remove the tape and it won’t leave any residue on the phone. Ungrip retails from $10-$14 and come in a variety of colors and patterns to fit your lifestyle and mood with more to come in April!